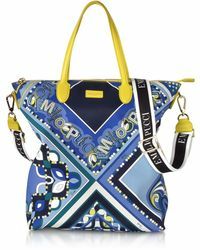 Emilio Pucci is a brand that has become distinctive thanks to the combination of contemporary and vintage style and the much loved Pucci prints. 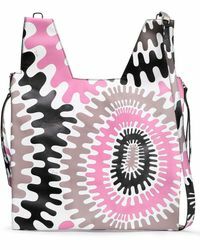 These brightly coloured kaleidoscopic designs have seen the brand catapult to globally renowned status, emblazoned across everything from shorts to sunglasses. 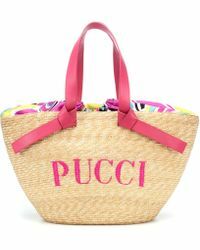 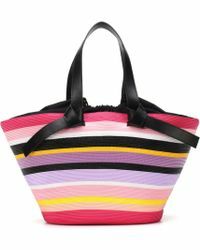 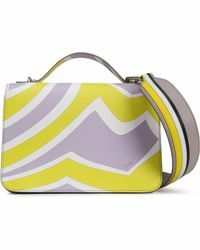 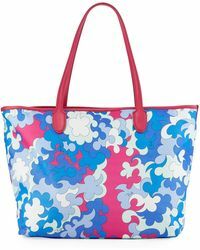 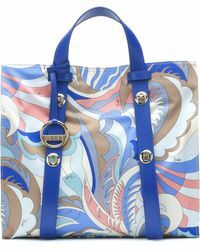 The line of totes from Pucci includes canvas shoppers, statement handbags, elegant leather designs and brightly printed PVC totes. 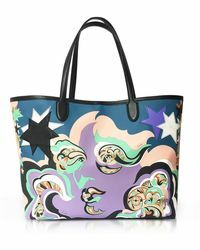 There are crocodile-effect shoppers, embroidered bags and straw totes, as well as many designs that bear the distinctive Pucci print in a rainbow of colours.